Love and romance is in the air! Why not bring the romance to your tea cup? Whether you are preparing a special dinner for a beloved Valentine or you just want a start a “fire” for yourself you can take it up a notch in your tea cup. When making tea; blending seems to be on trend. Many tea lovers and tea companies are finding ways to bring not only antioxidant power, but vitamins and minerals to our teas thus creating outstanding tasting teas and teas that are healthy and beneficial as well. 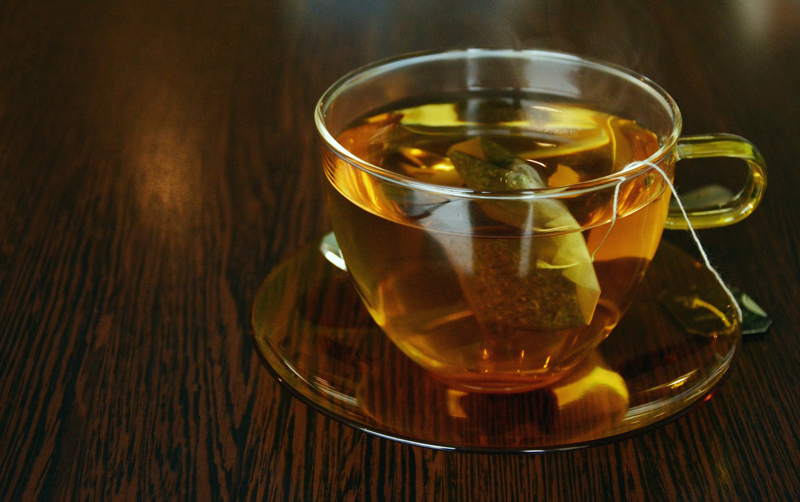 Boil 2 C of water in teapot, steep tea bags for 10 minutes in separate saucepan, set aside. Then pour in 2 C of milk in the 2nd saucepan and warm this over medium heat. Please stir constantly to simmer. Now add the tea and milk together continue to stir over medium heat for 2 minutes. Add to this the chocolate syrup, stir and blend completely lower heat for 1 minute. Remove from heat. You are now ready to fill your tea cup or mug (we used small ladle). You may top with whipped cream & red and pink sprinkles! Yummy! For those interested in hot stuff, one can spice it up by using chili pepper, black pepper or Cayenne pepper in your tea! It is long known that if we add these spices to our food it serves us up a portion of healthful benefits. It is widely been agreed on that peppers in our food carry Vitamins A & C and minerals iron and potassium. It is continually being studied that the benefits to consuming these peppers may benefit those with Arthritis by providing an anti-inflammatory boost. It is also agreed upon that cholesterol may be reduced, heart attacks may be reduced and that what are known as free radicals may be reduced and that means a definite boost in our immunity system. *Please remember to always consult your doctor regarding adding any spice or herb to your tea or diet. Interactions, reactions and contagions can and do happen. And always consult your doctor if you are pregnant. Thank You. Now that’s some hot tea!